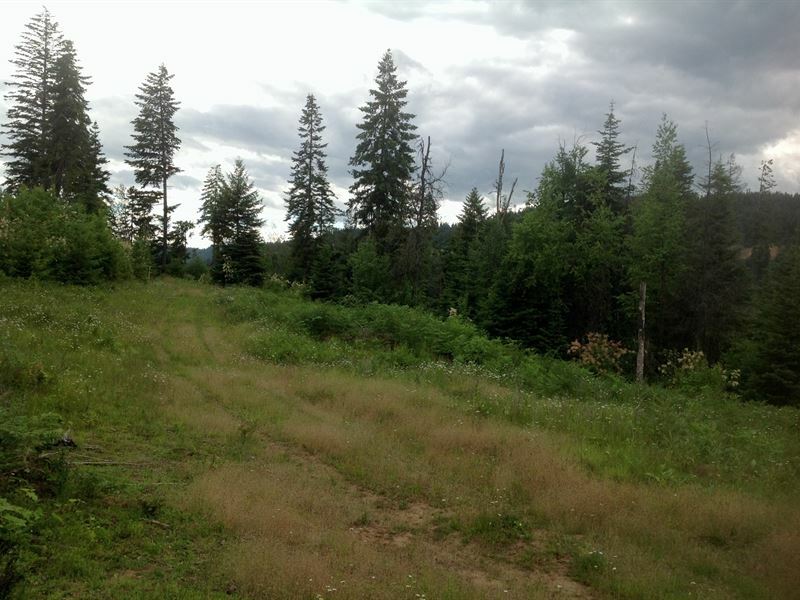 Huckleberry Estates is a new development for sale near Orofino, ID. With a short commute into town, Huckleberry Estates could be your new home. Huckleberry Butte Rd is county-maintained year-round. Power is available on the road. Parcel B consists of 6.48 mostly level acres. Furthermore, Huckleberry Estates is within 10 miles of Orofino, Idaho. Orofino, Idaho was originally known as a gold rush town and its name even derives from Spanish origin meaning fine gold. Today the area is known for its mountain beauty and year-round recreational opportunities. Less than an hour drive from the Lewiston/Clarkston metro area, Orofino serves as a popular weekend retreat for many residents of the Lewis/Clark Valley. Orofino is a host to many local sportsman tournaments and community events including the Clearwater Country Fair and the Orofino Lumberjack Days. Fishermen from around the globe flock to this recreational playground since it is famous for its world class fishing. In fact, Orofino is called the Steelhead Capital of the World. Besides yielding large steelhead, the area is also great for fishing spring Chinook salmon, Kokanee salmon, smallmouth bass, rainbow trout and cutthroat trout. Fishing is not the only recreational activity at your fingertips. Orofino is just minutes from the Dworshak Dam and Reservoir which is a popular place for boating, water sports, and camping. Wildlife is in abundance too. Local hunting includes deer, elk, bear, turkey, grouse and quail. Driving Directions From Highway 12, turn northeast onto Michigan Avenue at Orofino, Idaho. Continue on Michigan Avenue as it becomes Konkolville Addition Rd., then Grangemont Highway, for a total of 9.2 miles. Take a slight right onto Huckleberry Butte Rd, and travel 0.8 miles to Parcel B.